“I never knew the color could be so beautiful, or taste so fresh.” So AdRi pines sweetly about her beloved strawberry freezer jam. I didn’t get it. But after making it and eating it this week? I get it. And I’m so glad we have 18 containers of it in our freezer. Strawberry Freezer jam is easy peasy. Really easy. There’s no canning knowledge or major equipment needed. No thermometer, nothin'. And there are only a few steps. And get this: you don’t cook the strawberries. I think that’s one of the reasons why it tastes so fresh and so good. 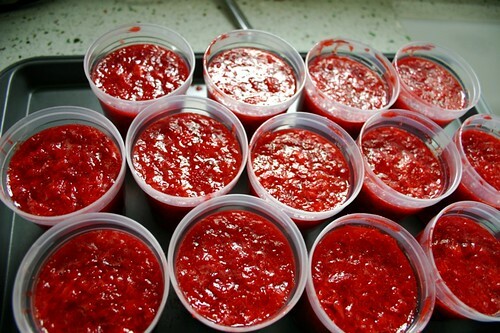 Strawberry freezer jam is only strawberries, sugar, pectin and water. That’s it. You’ll also want to get some of those freezer containers (you can get them in the canning section near the baking section of your local grocery store). I checked in with Mark about what kind of pectin to use. I had seen he had blogged recently about making freezer jam. He recommended the pink box of Sure Gel, because you can use less sugar with it. Love that. 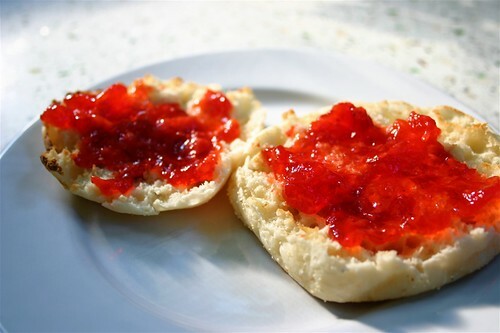 Don’t you hate jam that’s overly sweet and sugary? I just wanted the true taste of the berries. Bonus info: Shuksans are his berry of choice for freezer jam making. And we got them right from the place he recommended: the stand just north of the Sauvie Island convenience store. Found her! And the recipe to follow? It’s in the box. Don’t try and get information from their website, because apparently it was built in 1989 and has not been updated. Different recipes for different pectins, just trust me when I say follow the recipe in the box. And did I tell you how easy it was? Mash the strawberries…. 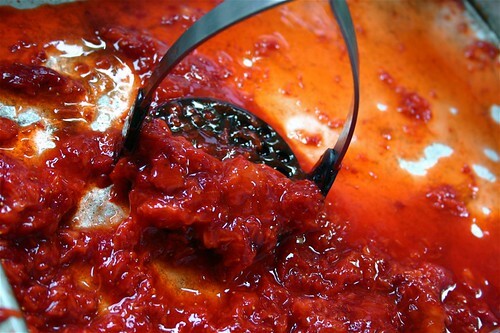 Cook up the sugar, water and pectin as the recipe calls for, remove from heat and stir in your strawberry mash. Pour into containers. Let cool, and set for 24 hours at room temperature, then freeze. And that’s that. A great way to preserve those delicious strawberries that are so plentiful right now. Easy peasy. Next up in strawberry week? Drink your berries! My wife was just talking about freezer jam the other day, I'll pass this onto her! 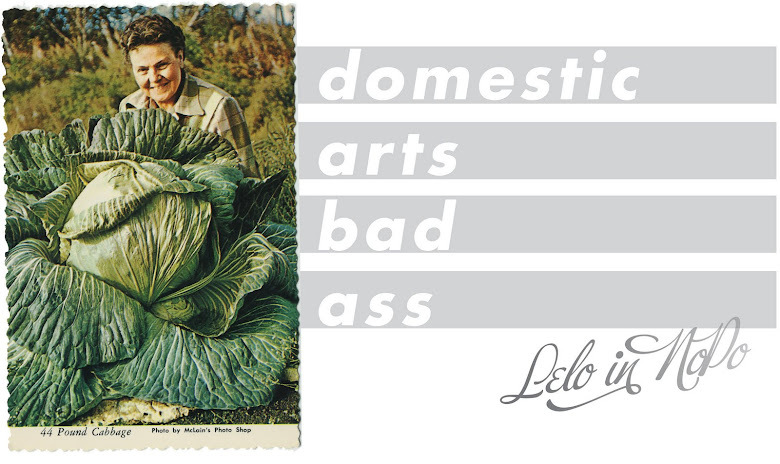 Home Arts!! My mom made strawberry freezer jam every summer when we were kids, except her containers were square. I'm digging the round ones! If we ever go strawberry picking, we've got to try this, sounds yummy! I meant to explain the reason we like the Shuksans for jam... the Hoods are terrific, yes, but I think they're more for fresh eating.....they have a very sweet but flatter taste. The shuksan berry is just a tiny bit more tart, so a fresher taste comes out in the jam process.